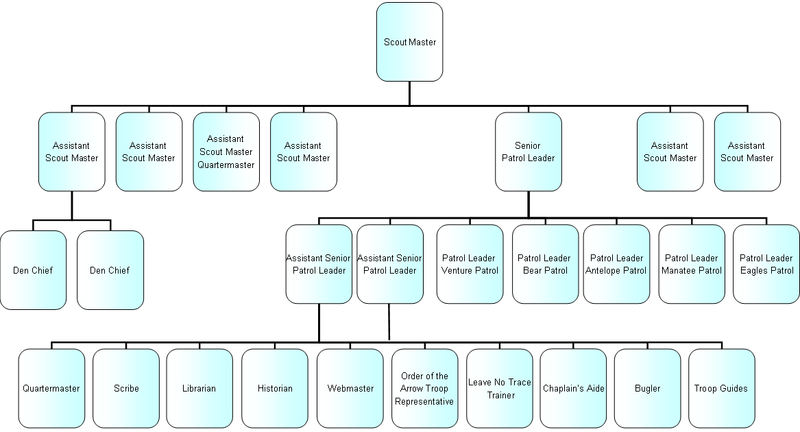 Here is the troop structure as of August 2010. Click on the image to see it full screen. For the troop committee structure, see the Troop Committee page. Below are the troop leaders. Click on the links to get a description of the job role. Each Patrol has a Patrol Leader (PL) and an Assistant Patrol Leader (APL). In addition, each patrol is assigned an adult leader who acts as a mentor to the PL, APL and the patrol members.